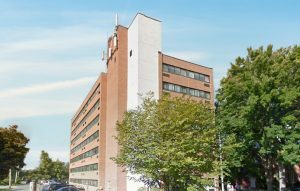 St. John’s Towers, an affordable senior living facility, worked closely with the Horst Construction team to renovate this seven-story apartment building, adhering to current industry standards and modernizing the interiors. The project included bathroom renovations, adding stairway handrails, and replacing carpeting. One unique aspect of the project involved HUD financing. To accomplish this, Horst worked in collaboration with the Gates Dunaway Group, an Atlanta-based expert on affordable housing preservation and development, to efficiently prepare the appropriate paperwork to get the required funding that allowed the project to get off the ground. First and foremost, once you understand that these facilities are people’s homes, not just where they live, you adopt a completely different mindset—one that is aligned with the owner’s goals, stated Roger. For more information about building, expanding, or renovating senior living environments, contact Scott Burkholder.